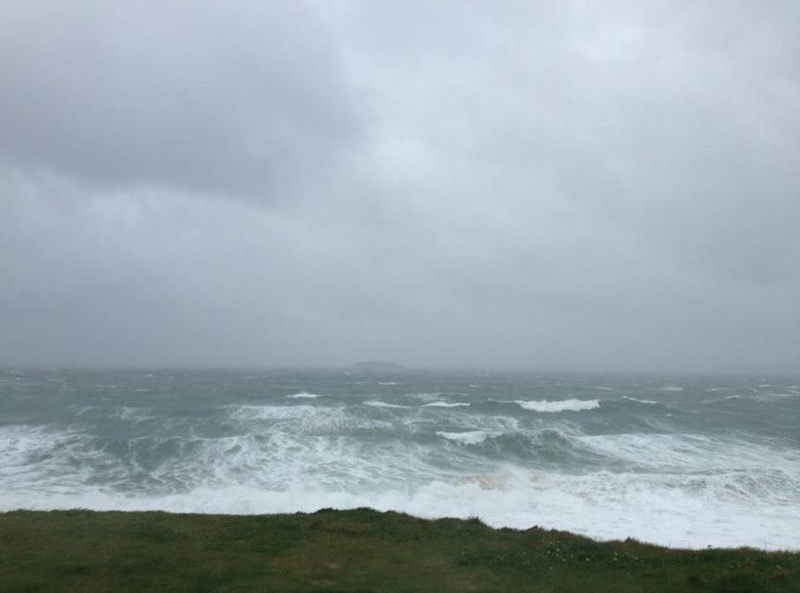 After a really nice start to the weekend, it wasn’t long in true Cornish fashion that the weather changed before our eyes and the wind and rain moved in! In fact, having been so dry now for a while it was a bit of a shock for a months worth of rain to fall in the space of 24 hours!!! Along with the rain came the wind – and it really was very very windy here along the coast! Where I live is very close to the ocean and exposed to the worst of the weather. Living in a log cabin, lets just say when things get a little wild outside, it’s also a little noisy inside. Last night’s weather was pretty wild and a bit of a sleepless night was had with the North Easterly wind howling through the trees outside. Along with the torrential rain beating down on the roof, my loft bed as cosy as it is was not the quitest place to be be. After a sleepless night, there wasn’t much let up in the weather all day long today and so far it’s rained hard all day long and the wind has continued to blow hard from the North. Definitely a bit of a duvet day in my house! Having a dog who needed a walk I headed down to my local beach – blasted with sand, spray from the ocean and the rain I was soaked through in about 60 seconds. Even the dog didn’t have a great time getting blown over in the strong wind. Needless to say the surf wasn’t really happening here on the North Cornwall coast today – however we do know of a few little not so well known spots around the South West that would have had a nice little wind and swell combo today! ← Hawaiian stylin’ and fun waves!